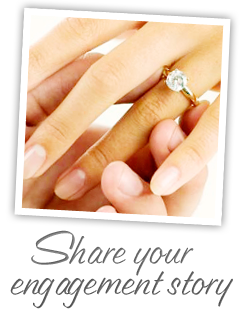 Have you ever thought about choosing a synthetic diamond instead of a mined diamond? Perhaps you want to save some money or are concerned about the negative social and environmental aspects of mined diamonds. 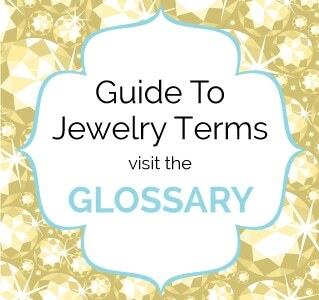 Either way, chances are you might be a little confused with the terminology or what synthetic diamonds really are. Because of advances in technology, synthetic diamonds are becoming an increasingly popular and modern option for many couples. With all of the information out there, it is important to get educated in order to make your purchase with confidence. Below is some helpful information to get you started. Synthetic diamonds are man-made diamonds grown in a lab with the same chemical, physical and optical properties and structure of natural diamonds. Aside from their origin, they are essentially identical to mined diamonds. It is important to note that synthetic diamonds are not to be confused with diamond simulants, which are distinctly different in composition and price. Beginning in the early to mid 1900’s, there were several experiments designed to create diamonds in a lab setting. Scientists tried to mimic the same conditions under which mined diamonds are created but were unsuccessful. However, in the 1950’s General Electric was successful in creating the first ever synthetic diamonds. Following this breakthrough, technology has improved dramatically and synthetic diamonds are being produced around the world. 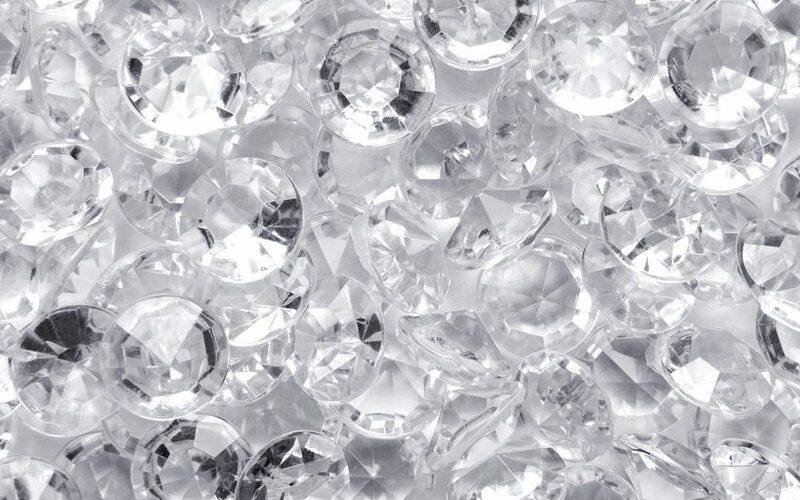 How are Synthetic Diamonds Created? High Pressure/High Temperature (HPHT): The original method of creating synthetic diamonds, HPHT uses heavy presses and high temperature to duplicate nature’s way of creating diamonds. Using carbon and a tiny diamond seed, incredible pressure and heat is applied and the carbon precipitates leaving a small seed crystal in the form of a diamond. Often times these diamonds are greenish, yellowish or slightly brown in color. 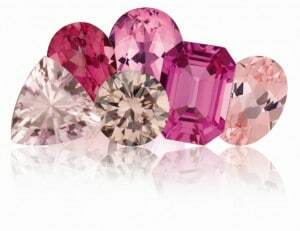 HPHT is also used in modifying or enhancing the color of naturally colorful diamonds. Chemical Vapor Deposition (CVD): Using a low pressure method, a seed crystal wafer is placed into a crystal growth chamber where carbon molecules and other ingredients are heated until a vapor cloud is created. The vapor covers the seed crystal in a film, molecule by molecule, until eventually a diamond is formed. It takes up to a few weeks to create, but the result is a beautiful clear diamond with all the same properties as its mined counterparts. 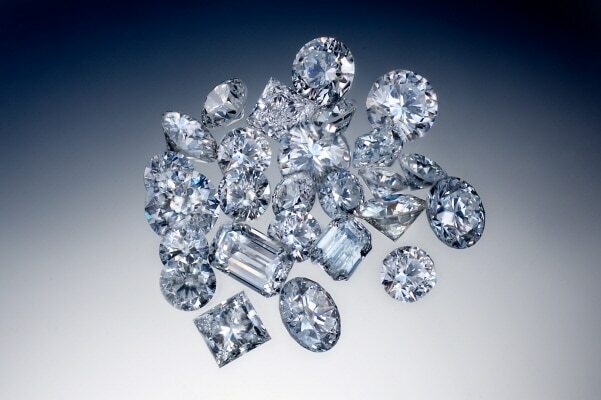 Synthetic diamonds cost an average of approximately 30% less than a natural diamond of the same size and quality. Large selection of shapes and sizes (generally less than 2 carats). 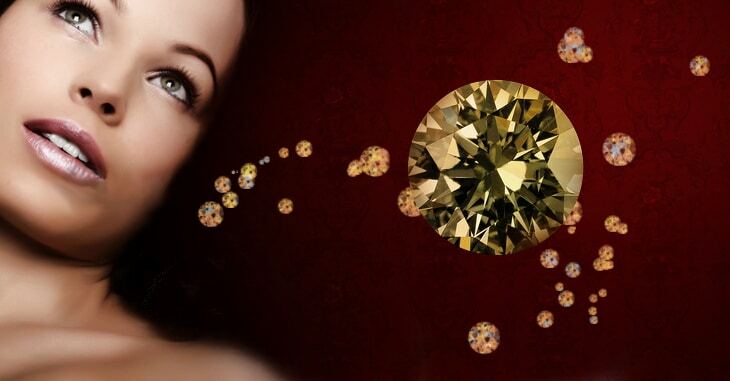 Colored synthetic diamonds offer fantastic savings when compared to natural colored diamonds. 10.0 hardness on the MOH scale (same as a natural diamond). Same optical properties as a diamond. Virtually flawless and colorless. this level of quality is extremely rare and expensive when found in a natural diamond. Availability of affordable colored fancy diamonds such as vivid reds, purples, greens, blues and canary yellows. Conflict free and environmentally friendly. Colorless or near colorless varieties are often still expensive and may not offer substantial savings depending on the exact size and color. If the price seems too good to be true for colorless “synthetic” diamonds, chances are it is a diamond simulant. Only a handful of companies sell synthetic diamonds. 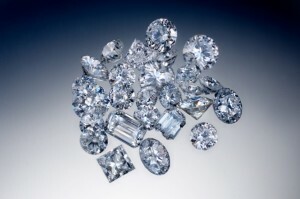 Sizes may be smaller than natural diamonds; generally larger sizes (especially colorless) are very difficult to grow. 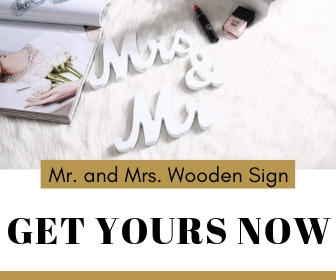 There may be a waiting list with some vendors due to supply and demand. Availability for colorless diamonds is limited. Product confusion, as some companies advertise their stones as “synthetic diamonds” but are in actuality only diamond simulants. There are several reputable merchants which sell quality synthetic diamonds. Most are available online, but some have stores throughout the United States.